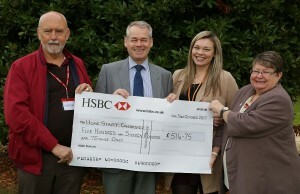 Home / News / Essex Networking have raised £516.75 to benefit Home-Start Colchester. Essex Networking have raised £516.75 to benefit Home-Start Colchester. The funds will go into the Linda Steers Family Fund to provide small grants to local supported families, after a family co-ordinator has identified a need that cannot be financed by other means. The fund is vital in today’s climate when families are struggling but resources are reduced. The fund is not means tested and bespoke to need. Items such as school shoes, baby safety items have been purchased through the fund. It can make a real difference to a child. A big Thank you to Essex Networking!